Buying a home can be an exciting, stressful and emotional time. If you are a first time home buyer, chances are there are parts of the home buying process that will take you by surprise. One thing home buyers commonly do when beginning the house hunting process is to make a list of features they want their new dwelling to have. If you are willing to compromise on certain things on the list to choose a better home for your needs, this is good. However, there are times when a home buyer winds up with a bad purchase because he or she fell in love with the features of a home but failed to recognize some major red flags. To avoid this dilemma, it’s important to know what some serious red flags are. If you found a home that is in foreclosure, you might have immediately thought it would be a good deal. You may have been right – often foreclosed properties sell for less than other homes. But they may come with their own set of issues. Buying a house that is set to foreclose or is facing a short sale can be rather time-consuming. As a buyer you need to be prepared for the process to take up to 2-3 times longer in some cases than buying a non-foreclosure. Another possible problem with these homes is the condition they are left in. In many cases, the previous homeowners weren’t happy with their situation, and may have caused some damage, Better Homes and Gardens Real Estate explained. Check for stripped appliances and cabinets or broken fixtures. It can be easy to overlook electrical issues if you aren’t an electrician by trade. There are some common red flags that are easy to spot, though. HGTV recommended touching the outside of outlets and faceplates to see if they are warm. If they are, it’s a bad sign. Seek out older wiring or do-it-yourself fixes. It’s likely that these are not up to code and may cause problems for you down the road. The best solution is to hire a professional to inspect the home. Water damage is difficult to deal with. When there is a leak somewhere in your home, it could cause a plethora of other problems, like mold and mildew. The best way to avoid this is to seek out potential problems before you make the purchase. 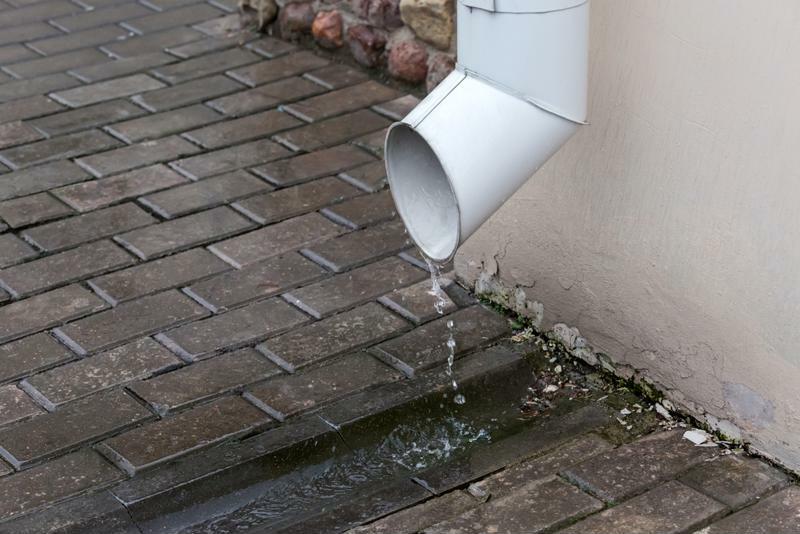 Be sure the drain spout releases water far away from the foundation. HGTV pointed out that sometimes the yard’s grading angles toward your home; this is basically a welcome sign to rain runoff. If this is the case, you’ll also want to check the foundation to see if rain has already begun to take its toll. The drainage attached to the side of the house can also have an effect on the home’s foundation. If downspouts don’t direct rainwater far enough away from the home, water will be deposited right beside it. It can eventually seep into your basement and can cause damage and mold. As with electrical wiring, crafty homeowners sometimes take on a plumbing job with little to no expertise. While these jobs may work short-term, they’ll give you some grief eventually. Once you find your perfect home, it’s important to move fast. However, it’s important to be able to recognize some warning signs that clue you into whether the home is a good purchase or not. Use the inspection period to have the proper professionals provide you with reports on their findings. You want to find out sooner than later if there is an issue that is present or could arise in the near future. For more information about your house hunt, talk to the experts at Lenox/WesLend Financial or call 844-225-3669. As heard on the radio, it’s the biggest no-brainer in the history of mankind.